Some Huawei Smartphone User Manuals PDF above the page. Technical specifications: IPS-screen 5 inches with a resolution of 1280x720 pixels, operating system Android 7.0, 16 GB of permanent and 2 GB of RAM, a slot for a memory card up to 128 GB (combined with a slot for a second SIM-card). The battery capacity is 3020 mAh. The battery life in the talk mode is 28 hours, in the music listening mode - 57 hours. 8-core Qualcomm Snapdragon 430 processor. There is a fingerprint scanner. The main camera is 13 mp, the front camera is 5 mp. Specifications: IPS-screen 5.2 inches with a resolution of 1280x720 pixels, operating system Android 7.0, 32 GB permanent and 3 GB of RAM, a slot for memory cards up to 128 GB (combined with a slot for a second SIM card). Battery capacity - 3000 mAh. 8-core processor MediaTek MT6750. There is a fingerprint scanner. The main camera is 13 mp, the front camera is 8 mp. Specifications: screen 5.2 inches with a resolution of 1920x1080 pixels, Android operating system 6.0, 32 GB of permanent and 3 GB of RAM, support for two SIM cards, a slot for the second SIM card is combined with a slot for a memory card. Battery capacity - 3000 mAh. 8-core HiSilicon Kirin 955 processor. Metal housing. There are two main chambers at once. They use 12-megapixel sensors (Sony IMX286), one of which captures the colors of the captured image, and the second reads monochrome information. The received data is then programmed together and written to the resulting files. Huawei emphasizes that the creation of the camera was attended by the famous German camera company Leica. The front camera received a sensor resolution of 8 megapixels. Technical characteristics: the screen is 5.5 inches with a resolution of 1920x1080 pixels, the operating system is Android 6.0, 32 GB permanent (23.40 GB available to the user) and 3 GB of RAM, support for two SIM cards, the second SIM card slot is combined with a memory card slot . The battery capacity is 3340 mAh. 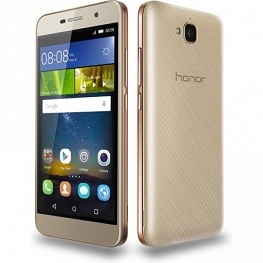 The phone is equipped with the latest 8-core HiSilicon Kirin 655 processor, so the Honor 6X 9User Manuals PDF page) is able to work longer without recharging than many competitors with comparable battery capacity. The manufacturer promised up to 11.5 hours of battery life when watching video, up to 70 hours of listening to music, up to 8 hours of games. There is a fingerprint scanner. New fingerprint features allow you to view photos (just swipe left or right on the scanner), turn off the alarm signal (press and hold the scanner), do a selfie or ring with one touch. Metal case with a glass curved to the edges. The mode of vision protection reduces the harmful UV radiation of the screen, preventing eye fatigue. The main thing that attracts attention in Honor 6X is the dual main camera. Huawei was the first to equip its flagships with a dual camera, last year it took the iPhone 7 (PDF User Manuals page), but from the mid-range models, the Xiaomi Redmi Pro only boasts of a dual camera. Returning to the Honor 6X, we see that the upper sensor is a 12 megapixel Sony (Manuals PDF page) IMX386 matrix with phase autofocus and LED flash, the focusing speed is only 0.3 seconds. This sensor also distinguishes the increased size of the photosensitive pixel to 1.25 nm with the technology of isolation of individual pixels Prim ISP. Thanks to this, the pictures have surprisingly little color noise and very natural color rendition. The lower monochrome sensor has 2 mp. At first glance this is very little. Even Xiaomi Redmi Pro (PDF Manuals page) has a 5Mp auxiliary module, not to mention the Honor 8 flagship, where the second module has the same resolution as the first one - 12MP. However, Huawei explains that 2 mn of the lower sensor is enough, because its task is to capture as much light as possible, since monochrome matrices are much more sensitive than color ones. The camera folds the light from the lower sensor with the color of the top and produces very high-quality photos even in low light conditions. In addition, thanks to a dual camera Honor 6X can do the same as boasted the creators of the 7th iPhone - bokeh (ie the ability to beautifully blur the background in the photo). There is another interesting feature - a selective fill of color will allow you to place color accents on black and white photos. The front camera of 8 mp is equipped with a wide-angle lens of 77 ° and the image processor Prim. There is a function for identifying faces. Without autofocus, while, according to reviews, she makes selfi qualitatively. Technical characteristics of the model: the screen is 5.2 inches with a resolution of 1920x1080 pixels, the operating system is Android 6.0, 32 GB of permanent and 4 GB of RAM, support for two SIM cards, the slot for the second SIM card is combined with a slot for a memory card. The 3000 mAh battery and Smart Power 4.0 power-saving technology provide up to 1.77 days of operation at the usual and up to 1.22 for intensive use. For example, on Honor 8 you can watch online video for 11 hours in a row. 8-core HiSilicon Kirin 950 processor. There is a fingerprint scanner. The model has a dual main camera with laser autofocus, which received two 12 megapixel Sony IMX286 sensors (like the Huawei P9), color and monochrome. The camera allows you to change the focus point after shooting. The professional mode offers the adjustment of the entire set of shooting parameters in both SLR cameras. The front camera received a sensor resolution of 8 megapixels. 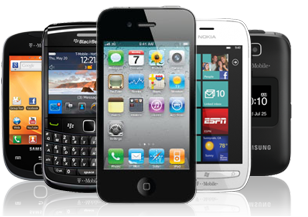 We should also mention the design of the smartphone. The front and back sides use glass with a mirror effect and a 2.5D rounding, the side faces are made of metal, and there are also several bright colors. Some Huawei Schematics look this page. Specifications: almost frameless IPS-screen 5.9 inches resolution of 2160x1080 pixels, Android 7.0 operating system, 64 GB permanent (available to user 48) and 4 GB of RAM, memory card slot up to 256 GB (combined with a slot for a second SIM -cards). The battery capacity is 3340 mAh. 8-core HiSilicon Kirin 659. There is a fingerprint scanner. Recently, it became a trend that a good smartphone has three cameras: dual main, as well as front. The developers of this model decided that the camera does not happen much and provided Nova 2i with four cameras: two main cameras and two front cameras. Each pair has a main camera and an additional one, and if the resolution of the main ones was 16 mp for the rear camera and 13 mp for the front camera, both additional ones got a resolution of only 2 mp. These auxiliary matrices are necessary, first of all, for wide diaphragm and portrait modes. Or, in simple terms, for artistic background blur. Technical characteristics of the model: 5.1 inch screen with a resolution of 1920x1080 pixels, Android 7.0 operating system, 64 GB permanent and 4 GB RAM, support for two SIM cards, the second SIM card slot is combined with a memory card slot. The battery is 3200 mAh. Eight-core processor Kirin 960 of its own design with graphics accelerator Mali-G71 MP8. The fingerprint reader is built into the touch-sensitive button on the front panel, which is slightly recessed into the case. Huawei P10 is made of a single piece of aluminum. The cameras on the smartphones of the leading Chinese manufacturer Huawei are developing by leaps and bounds: in 2015 the company introduced the world's first smartphone with two main cameras (now this method is used by Apple and other manufacturers), in 2016 Huawei began cooperation with the famous German camera company Leica and in 2017 Huawei did its best to make the cameras on their smartphones the best in the world, Leica not only to work on the dual module of the main camera, but also to work on the front camera. But that's not all: starting with P10, Huawei began to cooperate with the cult American manufacturer of GoPro video cameras. In the framework of cooperation, GoPro will release for Huawei P10 an exclusive mobile application Quik for fast video processing. The video editor will be built into the standard EMUI wrapper gallery. The essence of the application Quik - the union of photos and videos to music on the background to create a beautiful memorable movie. It should be noted that previously GoPro did not release applications for Android or iOS. Huawei has as many as three flagships, the oldest being the Mate family. 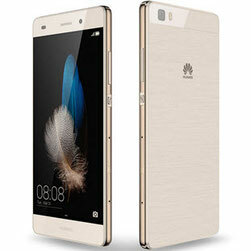 At the same time, the cost of Mate models does not fit into the Chinese standards of affordable price, although it should be taken into account that Huawei is the representative of the top three smartphone manufacturers in the world together with Samsung and Apple, and if you compare the price of Mate 10 with the flagships of these manufacturers, it will be one and a half times lower than the Galaxy Note 8 and almost 2 times lower than that of the 10th iPhone. Like the above-mentioned flagships of Samsung and Apple, which appeared on sale in October 2017, the Mate 10 follows the trend of almost frameless smartphones, due to which in the case approximately like a 5.5-inch smartphone screen 5.9 inches with a resolution of 2560x1440. And the screen diagonal, and the resolution is larger than that of the iPhone X, but smaller than that of the Galaxy Note 8 (User Manuals PDF page). Also, the competitors have a more advanced OLED display, while Huawei has become a familiar IPS. Technical characteristics of the model: the screen is 5.7 inches with a resolution of 2560x1440 pixels, the operating system is Android 7.0, 64 GB of permanent and 6 GB of RAM, support for two SIM cards, the slot for the second SIM card is combined with a slot for a memory card up to 128 GB. Battery capacity 4000 mAh. The battery life in talk mode is 16 hours, in game mode 3 hours 15 minutes, in video playback mode 6 hours 45 minutes, in standby mode 453 hours. As we see, despite the impressive battery capacity, a huge screen plays its role, discharging much faster than with a standard screen size. So long-playing this smartphone is not called. Eight-core processor Kirin 960 of its own design with graphics accelerator Mali-G71 MP8. Fingerprint reader on the back panel. Technical characteristics of the model: a 5.15-inch screen with a resolution of 1920x1080 pixels, an operating system Android 7.0, 64 GB of permanent and 4 GB of RAM, support for two SIM cards, a slot for the second SIM card is combined with a slot for a memory card up to 256 GB. The capacity of the battery is 3200 mAh. Eight-core processor Kirin 960 of its own design with graphics accelerator Mali-G71 MP8. Fingerprint reader on the front panel. The case is made of 15 layers of toughened glass. The cameras are almost the same as the flagship of the main brand Huawei P10: a color dual camera module with a 12-megapixel sensor and a f / 2.2 aperture cooperates with 20-megapixel black and white, a double zoom without quality loss. The only difference is that there is no optical stabilization. Software stabilization remained, but with shaking while recording video and taking photos on the move, it copes worse. In doing so, when shooting under normal conditions, you will not notice any difference in the quality of the survey, so there's no reason to overpay 4.5 thousand for optical stabilization, as well as the logos of Huawei and Leica (which helped in the development of the camera for Huawei P10) on the case. The front camera as well as in Huawei P10, has a sensor at 8 mp.